New compound plastic material, be applied for marking a light-weight and flexible Backrest of OA-office-chair. Shape is changed to follow the movement of user while seating. 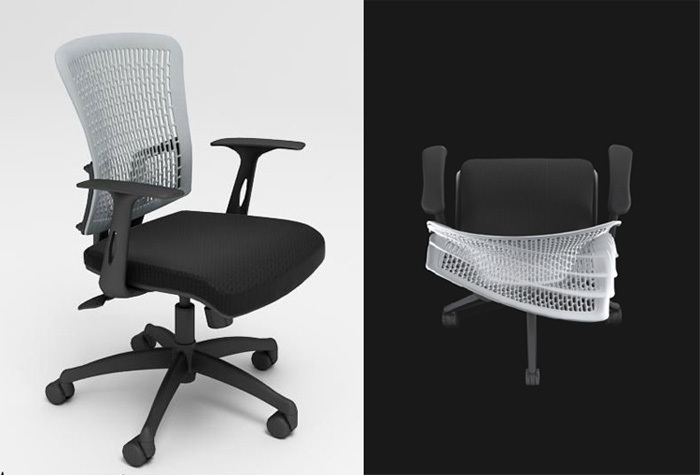 With special frame design, the built-in lumbar support provides custom-fitted support at low back, that promote proper alignment of the spine for a healthful, comfortable sitting-posture.